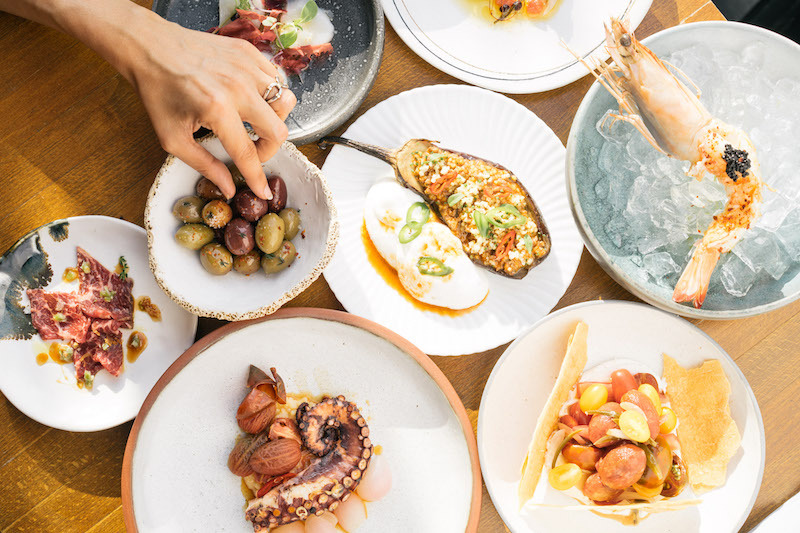 As we think back over the truly delicious meals we enjoyed this year in and around Athens, it appears to us that the food scene here is going from strength to strength, despite the continuing prolonged recession. And most of these memorable feasts focused on procuring the finest local ingredients and employing them in traditional Greek or Mediterranean recipes in imaginative but not surreal or outlandish ways. 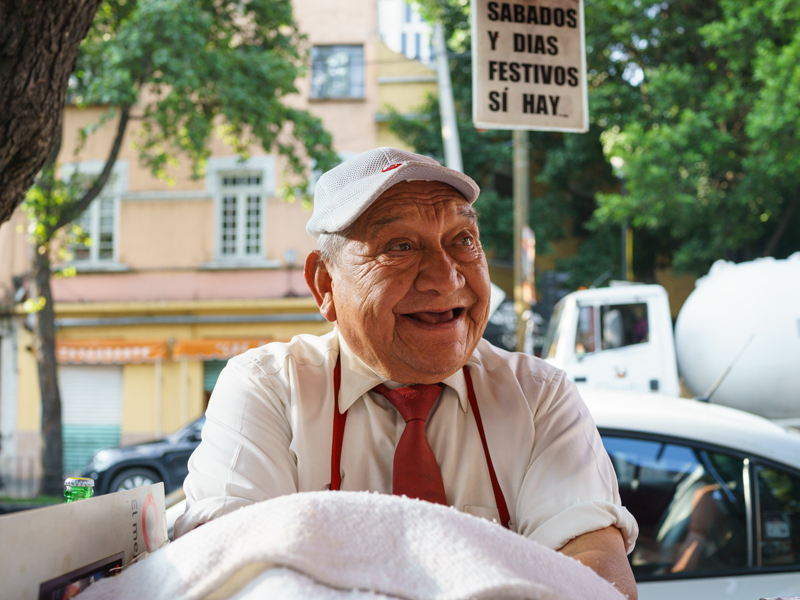 Below are some of our Athens correspondents’ favorite memories from the last year of places and meals that reflected this encouraging trend. The overall excellence makes it difficult to choose just three places, but I have absolutely no difficulty in singling out the best bite of all. And I think my dinner companions would agree. We were already very pleased with our order of Damascus baba ganoush, lamb tajine, and Ottoman beef stew with silken eggplant puree at A Little Taste of Home, and we had been riveted by owner Ahmad’s saga of love, camel whispering, resourcefulness and refugees before we sat down to eat. But when presented with the meatballs in cherry sauce (kioufta bil karaz), a festive dish from Aleppo prepared in the Armenian kitchens of the region, we all fell silent as we savored every molecule of flavor. How to convey our extreme pleasure? We had no words. 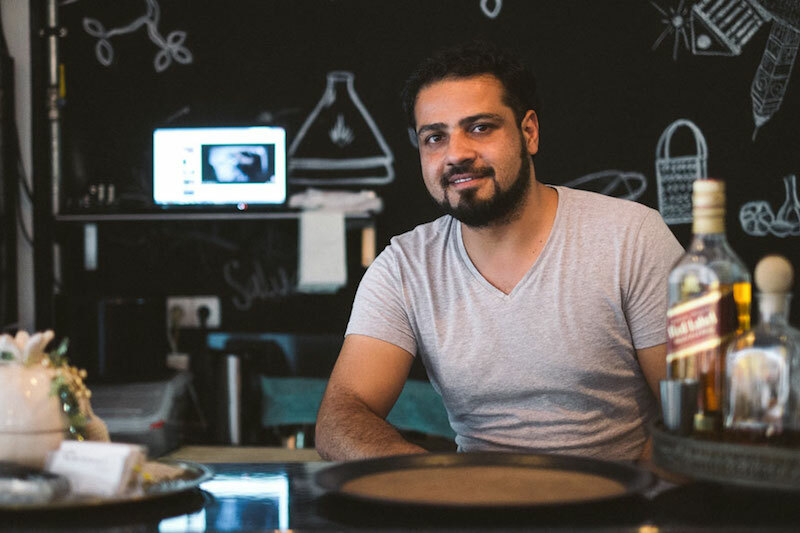 Home cooking was never like this, but Ahmad, his chef, a fellow Syrian, and his chief waiter, Christos, do their best to make every customer feel at home, and we are already homesick. The name means “menagerie,” or as the owners say, “a naughty, disruptive school class,” and their intention is to attract artists, musicians and other discerning types with an understated atmosphere and not quite conventional cuisine. I decided to hold my own birthday party here and, after speaking to the cooks, a mother-son combo, we devised a special menu that included a vegetable risotto, that cheese, a spicy pork stew, scrumptious salads and just possibly the best chocolate mousse cake I have ever tasted. The location is perfect, the décor “intellectual” with books and records, the music vintage and the cooks welcoming and talented. Everyone has a favorite local eatery and O Tzitzikas kai O Mermingas is ours. 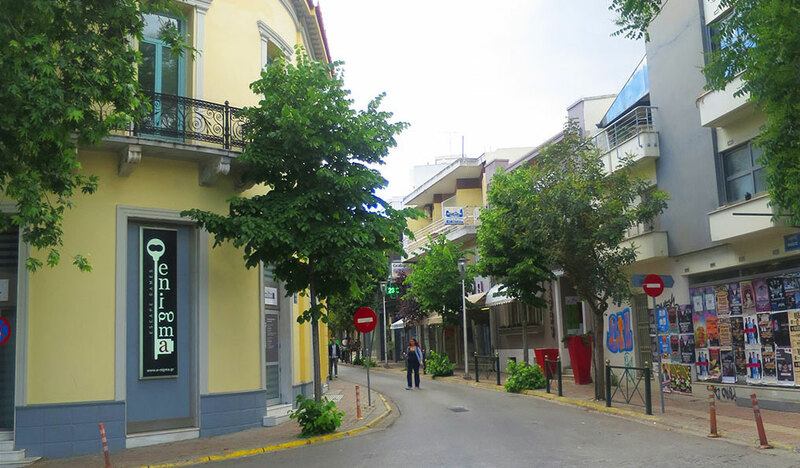 Located in the center of Kifisia, one of Athens’ northern suburbs, its tables fill an alley where cars never trespass and its two rooms are bright and cheerful, like its waiters. We can pore over the menu for hours unable to make up our minds because every dish sounds irresistible. The cuisine is Greek but tweaked so that familiar dishes acquire a new, invariably delicious dimension. Most recently, we feasted on exquisite organic fava, kritharoto with mushrooms and truffle oil (krithari or orzo treated like a risotto), moreish fried graviera cheese from Naxos with a delectable sesame crust, a huge mixed green salad, mille feuilles with vegetables and grilled spicy meatballs, helped by a very drinkable house wine. 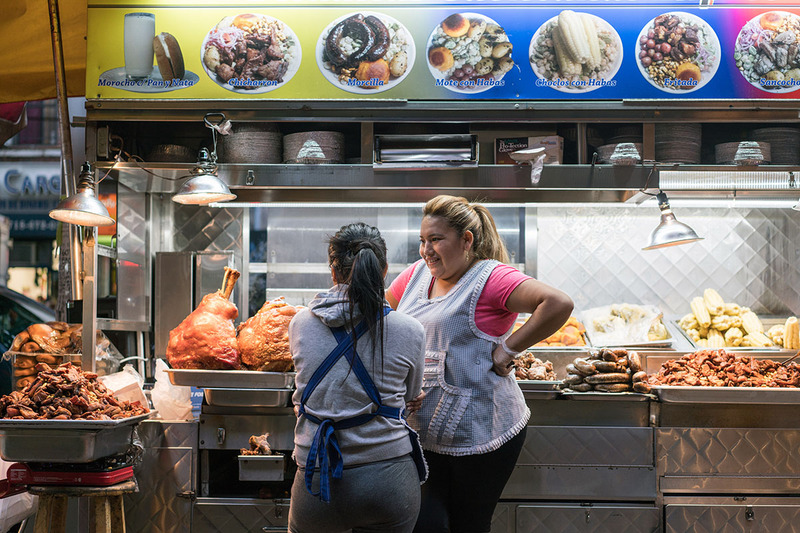 This is where we take out-of-towners when we don’t feel like cooking, and we’ve been relying on its good service and imaginative food since it opened in 2008. Surprisingly, O Tzitzikas and O Mermingas belongs to a chain, and there are three other restaurants by the same name in Athens and the suburb of Halandri. We can’t vouch for the other three but the Kifisia branch has our vote. 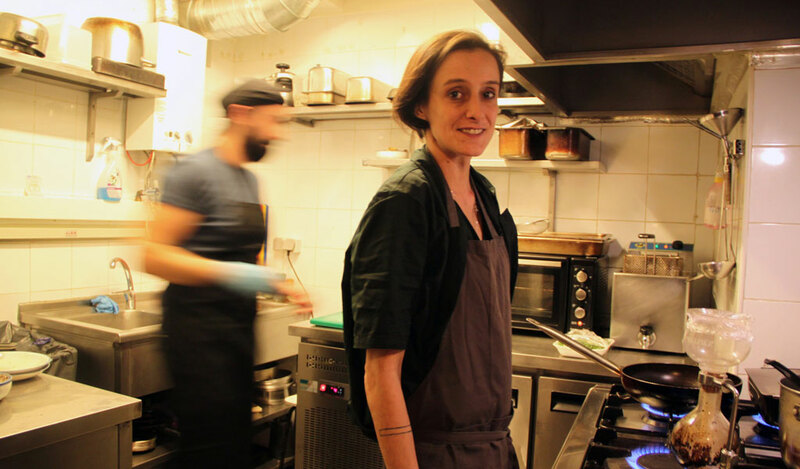 When I want to splurge on a beautifully prepared meal that pleases multiple senses, I book a table at Vezene, one of my favorite restaurants in Athens. Located behind the Athens Hilton, this is a modern bistro with a creative, sophisticated menu inspired by Greek regional cooking. Unlike other places, their modern twists on traditional recipes actually work, as evidenced by the fact that they’re almost always fully booked. 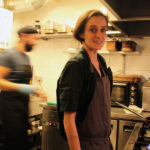 The restaurant is named after its owner and head chef, Aris Vezenes, a very talented person with a deep knowledge of meat, seafood and regional Greek cuisines. Although it’s a bit pricier, what you’re paying for are the exceptional ingredients: Their seasonal menu always features meat, often dry-aged, and seafood, sometimes served raw. I’m partial to the lobster, which was decadent and beautifully plated at my last visit. The kitchen is semi-open, and I like watching their impressive wood-burning oven, in which they cook some of the meats, beautiful Greek-style pies and, most importantly, their mind-blowing pizza. 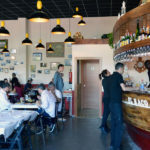 The wine list, which focuses on natural wines from the Ionian Islands, and beer selection, which includes local artisanal beers, are both excellent. If you want to try their house specials this December, make a reservation for their “3pm Sundays,” a late-lunch/early dinner that features the dishes they do best: high-quality côte de boef, lobster, Greek pies and traditional Greek-style pasta with a modern take. 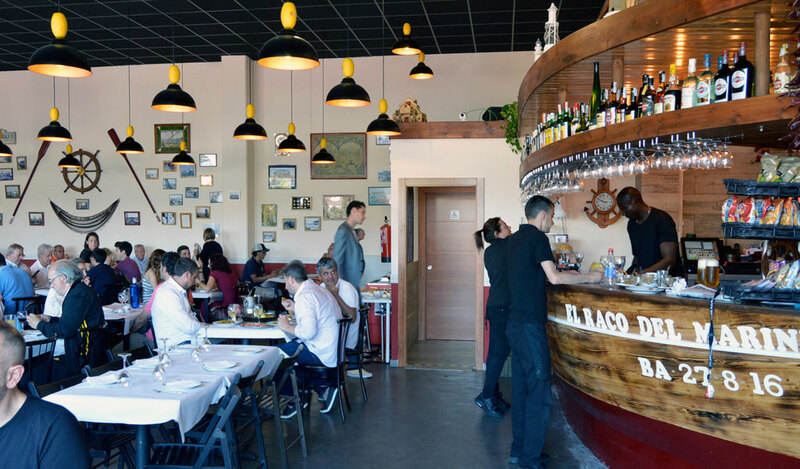 In Keratsini, a neighborhood near Piraeus port, Kostas Zafeiropoulos and Yannis Zois, the owners of Taxidevontas, make sure that their guests “travel” to the Aegean Sea by providing the freshest flavors from the region (the restaurant’s name means “traveling” in Greek). Both are passionate fishermen and seafood lovers, and source the freshest fish from their fishermen friends – I once even saw some of them delivering their daily catch in person. But high-quality ingredients are only one part of the equation. The cooks at Taxidevontas know how to prepare these seasonal ingredients perfectly. The most amazing dish I’ve had there was skaros (a type of parrotfish) wrapped in grape leaves, lightly grilled and then drizzled in a velvety butter and lemon sauce. They serve it with different fish, depending on the season, but it’s always superb. I also loved the fresh crab salad, which is perfect in its simplicity: crabmeat on a bed of chopped lettuce with spring onions and dill, and dressed with a beautiful fresh lemon vinaigrette. Equally delicious are their handmade fresh sardines, marinated in salt and vinegar, drizzled with excellent extra virgin olive oil and served with chopped spring onions and herbs. Not only is all this fresh seafood served in a friendly, family-run environment, but it’s also followed by sweet treats on the house. They first brought us a glass of Moscato dessert wine and then two different handmade desserts, chocolate profiterole and strawberry cheesecake. It’s the kind of place where you fall in love with everything: the food, of course, but also the venue and the people there, to the point that you want to go back again and again and again. The best sweets I’ve had this year have all come from Pellit, a small pastry shop specializing in chocolates, truffles, cookies and treats from Poli (the colloquial name for Istanbul, once home to a large Greek population). It’s located only a few minutes by foot from the Evangelismos metro station in Kolonaki, an affluent neighborhood on the slopes of Lycabettus hill. Korina Denasi, the owner, comes from a family of talented pastry chefs. Her family originates from Istanbul and her uncles own Divan, the historic pastry shop in Palaio Faliro that we love for their kourambiedes. Pellit sources some of their selection from Divan, such as their tsureki, traditional aromatic brioche-like sweet bread similar to challah, and kiel, a highly addictive bite-sized tsureki stuffed with bitter chocolate shavings and ground walnuts. But what I go in for are their handmade truffles – these exquisite chocolates come in three flavors: rum, orange liqueur and cognac. Their regular chocolates also stand out, particularly those with distinctive flavors, such as champagne and red currant, and ginger. It was my go-to spot this year for a pick-me-up of chocolate and a coffee. Seychelles needs no introduction: Since opening in 2014, it has been a favorite of locals and tourists alike, especially in the summer when one can enjoy an al fresco meal. 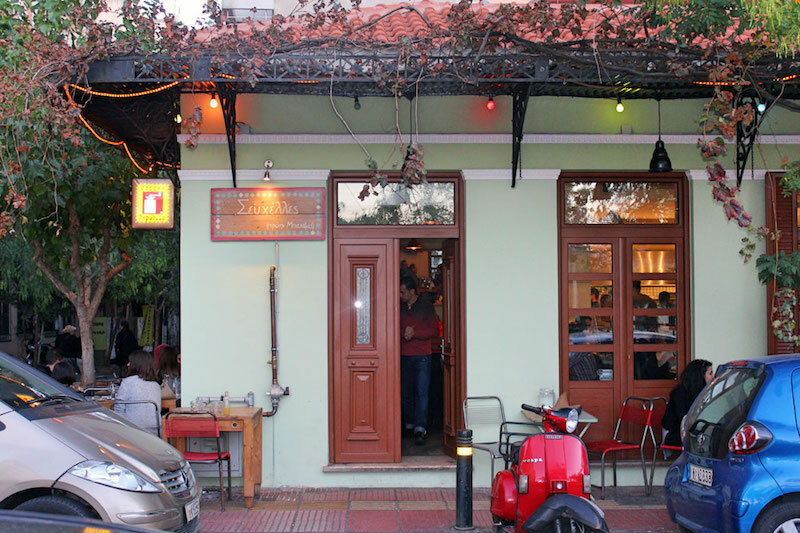 Located in Metaxourgeio, one of the oldest neighborhoods in Athens, and facing the newly revived Avdi Square, it occupies a pretty 19th-century building that used to be a kafeneion (cafeteria). This quirky eatery looks traditional, but many of the dishes have a real twist to them, without being fussy. I was actually surprised by this dish, as it’s a combination I’ve never had before. In Greece we usually eat octopus stewed in a rich sauce together with pasta; boiled and served with oil and vinegar; or chargrilled. In this case it’s braised, with the intense flavor and tender texture of the octopus playing off the crunchy tartness of the okra to create a truly memorable dish. Translated as “short spit,” kontosouvli is a meat lover’s dream. Slowly roasted and generously seasoned pieces of pork on a spit are served, meltingly tender, for the table to share. The kontosouvli at Dimitris, a taverna in Porto Rafti, is some of the best I’ve ever tried. Porto Rafti is a seaside resort town, situated about 50 minutes from the center of Athens. Built around a beautiful bay with many small beaches it is a popular weekend getaway destination for Athenians who want a quick swim or a summer holiday close to the city. 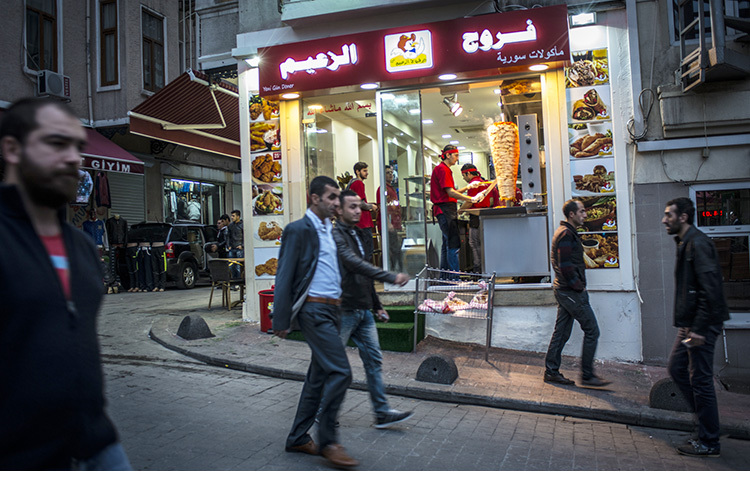 Personally, I make the trip out there anytime I’m craving kontosouvli. A huge establishment that opened about five years ago, Dimitris is famous for all things meat. Despite its size, the restaurant fills up on the weekends. But service is always swift, so the wait for food is minimal once you’re seated. I’ve had a wonderful goat soup there and perfectly grilled lamb chops, but my favorite is still the kontosouvli. The pork is wrapped in sheep’s caul (a fatty membrane surrounding an animal’s stomach), which keeps it extra tender while creating a crunchy exterior. In the summer choose an outside table with a sea view and definitely book ahead. The center of Maroussi for me is the closest you can get to small town life if you live in the city. 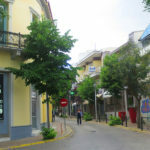 Apart from an array of traditional food shops one can visit, it is also home to Kastalia, a lovely traditional ouzeri-kafeneio named after the small square it borders. 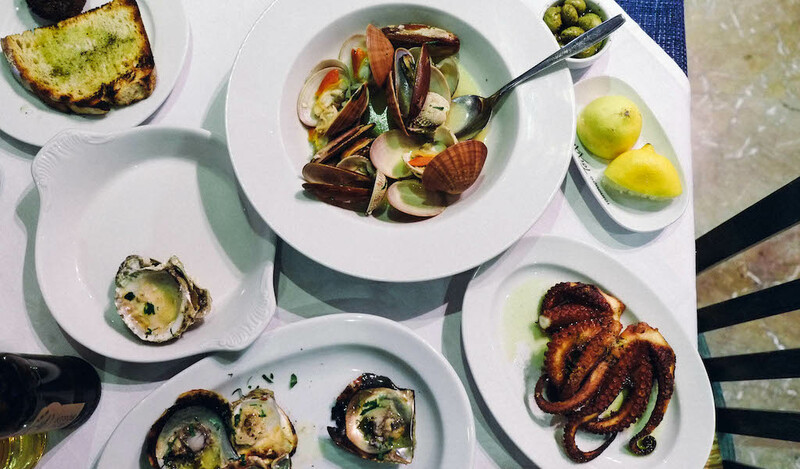 True, you can have meze in thousands of places in Athens, but few are as original as Kastalia. Opened in 1974, it is still a favorite spot for locals of a certain age who come here for ouzo and the small plates that go with it. Their plates are exactly right for a small bite before a meal (ouzo is an aperitif), but can definitely become a full meal depending on what you order. 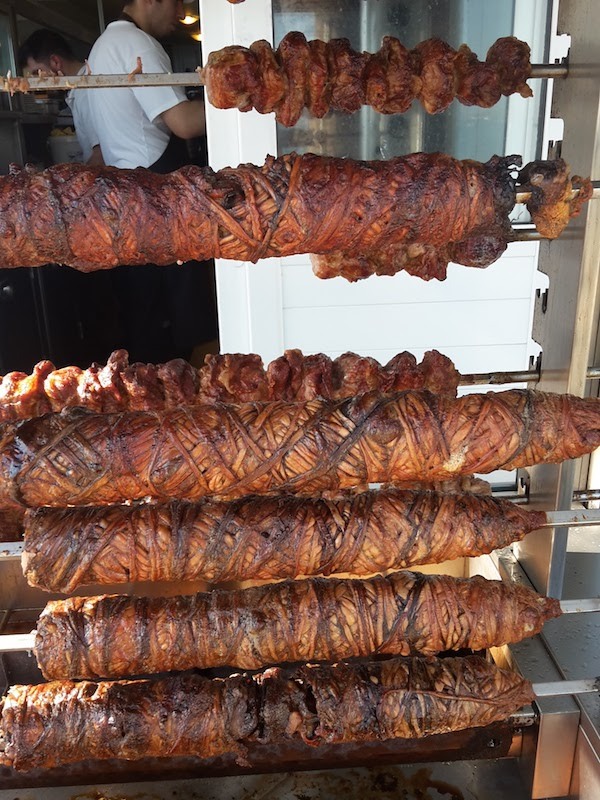 There is much to choose from, but most go to Kastalia for the poikilia (which translates as “variety”): a meat, fish or mixed plate of different bites. Each plate is prepared for the number of people involved (for one, for two, etc. ), and every single item is made to order. One of my favorite memories from the past year was sitting on the square, eating a plate of their sensational fried sardines, sipping ouzo and watching the world go by.